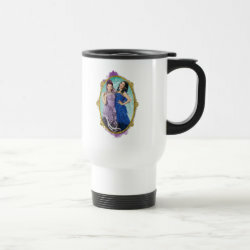 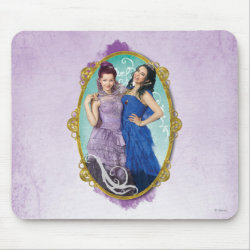 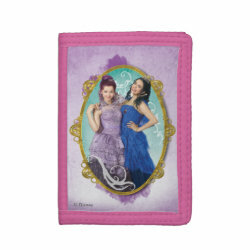 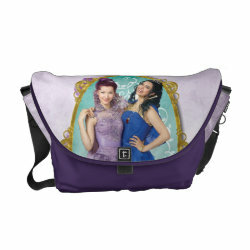 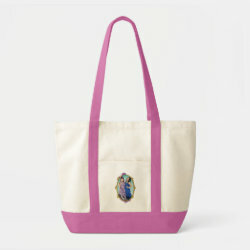 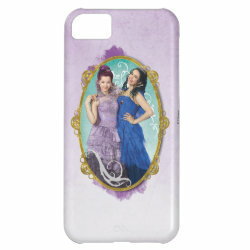 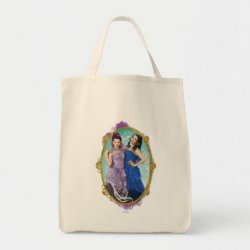 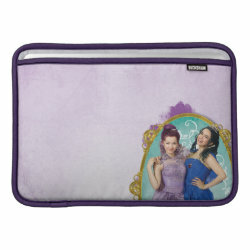 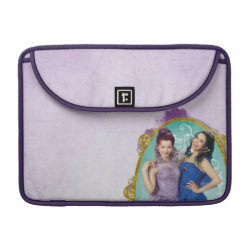 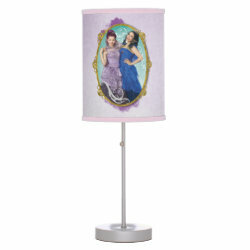 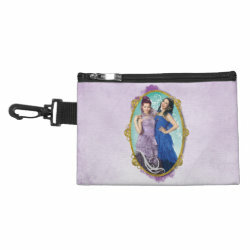 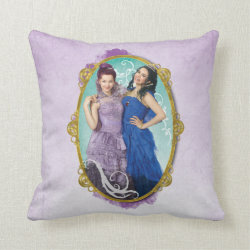 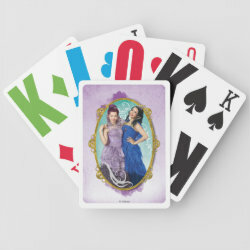 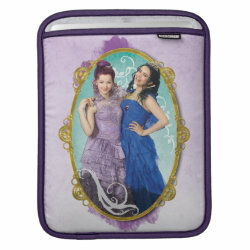 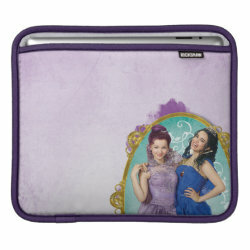 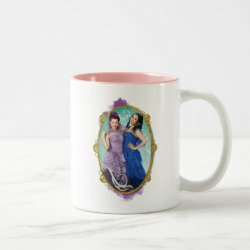 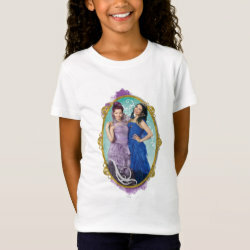 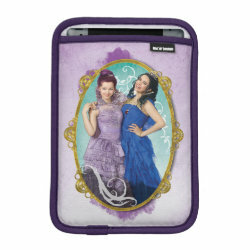 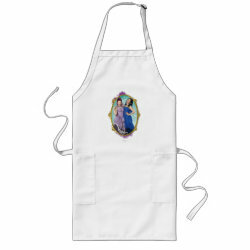 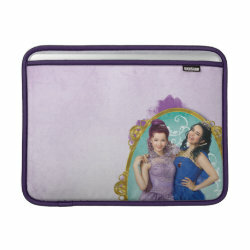 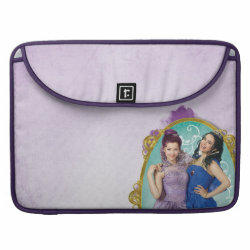 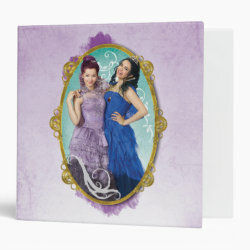 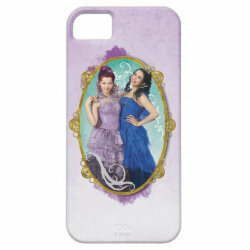 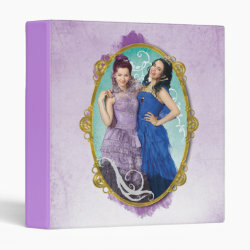 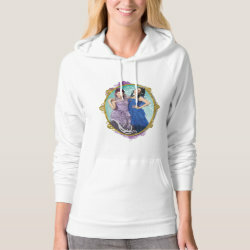 Mal (daughter of Maleficent) and Evie (daughter of the Evil Queen) are featured in this officially licensed design from Disney's Descendants. 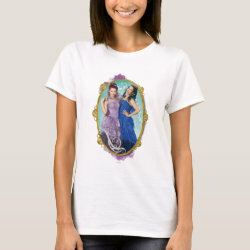 Mal and Evie are both wearing their coronation gowns. 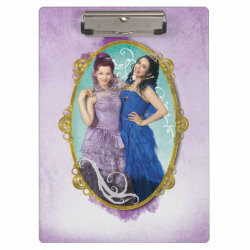 They stand together inside a brooch-shaped golden outline against a teal background.